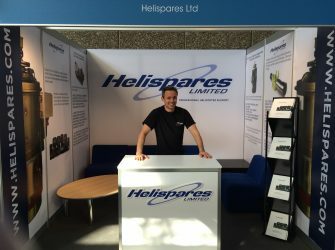 So that’s Helitech over for another year! We always enjoy exhibiting at the show, catching up with existing customers and hopefully making new ones, and this year was no exception. Welcome to our new website! We have a vastly improved inventory search facility and overall, the content of the site gives a much better idea of who we are and what we do! We also have pages dedicated to the bespoke services we offer, over and above the day-to-day supply of parts. We’re looking to update our special offers and news pages regularly with the latest batch of stock as soon as it hits the shelves so do check back to see what’s newly available!